Here's everything you need to make sure your GOT party goes off! 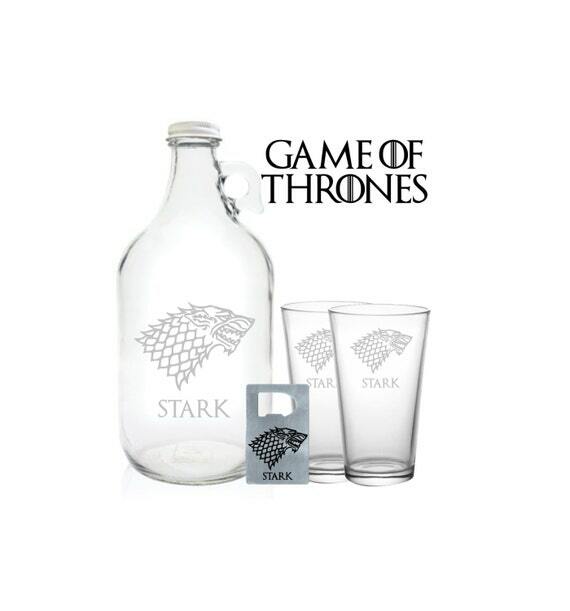 Game Of Thrones FINALLY returns to TV screens this weekend and what better way to welcome it back than to hold your very own viewing party in your living room. But what food and drink should you get? How about decorations? Or a theme? Probably best to avoid anything wedding related too. Don't worry, we got you covered with our guide on how to put on the ultimate GOT watching party in time for the brand new episodes. Ask your local butcher if they have any hearts to spare. Or, failing that, any kind of meat that can be eaten straight off the bone should be ideal. Think along the lines of those turkey legs you see at Disneyland. These cupcake toppers will let all your guests find out which family they belong to in the most delicious way possible (£5.50, ThePartyPostman, Etsy). Wine. Blood red and lots of it. Available in a variety of house logos, this 64oz beer growler will look damn fine sat in the centre of your table. Add on the opener and pint glasses to complete the set (From £21.00, InfiniteGifts, Etsy). Medieval chic is the order of the day. Maybe look at investing some ornate curtains. Then pull up the carpet/floorboards and see if there is any stonework underneath there. 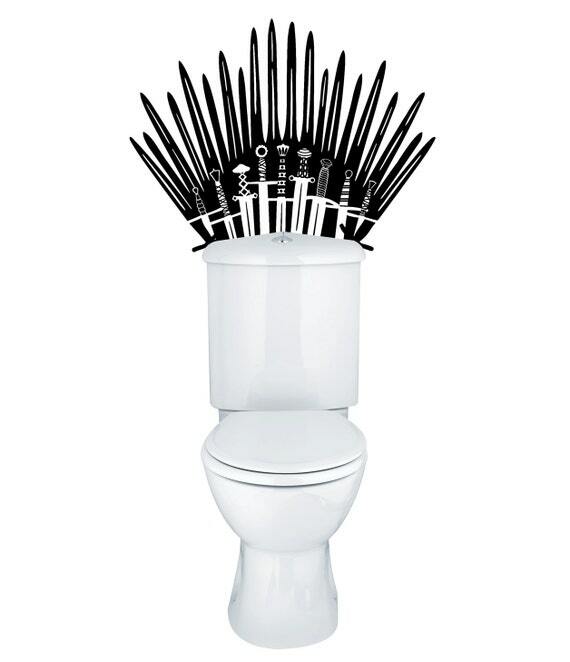 Turn your bathroom throne into the iron throne with this handy wall sticker (£12.31, PrintaDream, Etsy). Write down all your favourite character names and assign one to each of your guests. Then see who turns up in the best homemade effort. Bonus points if your Jon Snow turns up with a live wolf. 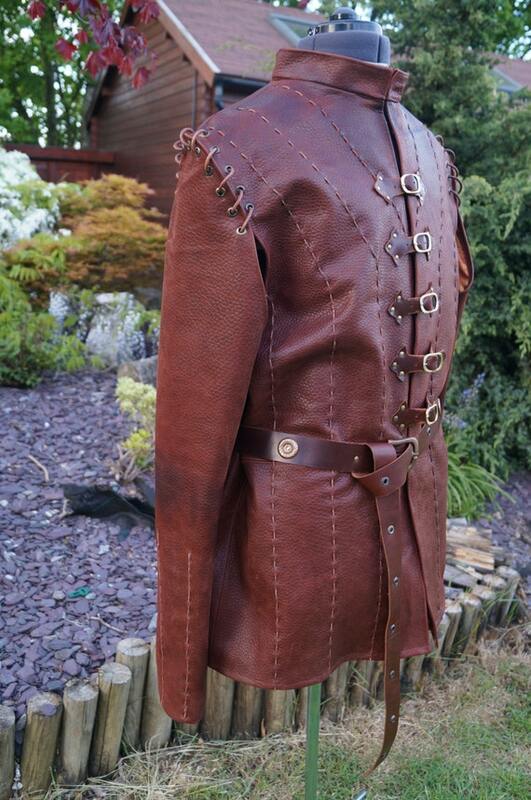 If you've got some money to spare, you can't go wrong with this incredibly authentic Jaime Lannister leather jacket, handmade to order. Not cheap but worth it (£525.00, Kazaz4ull, Etsy). After the undoubtedly intense episode, it's time to unwind with some proper party vibes. Unfortunately, Hodor's DJ skills will be most likely unavailable for hire but you can still find many a GOT-themed remix online for your listening and dancing pleasure. Pop culture DJ superstar Eclectic Method delivers on the synths. 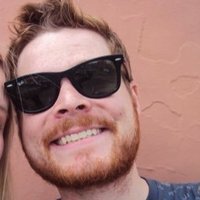 Any party ideas of your own? Add them in below! 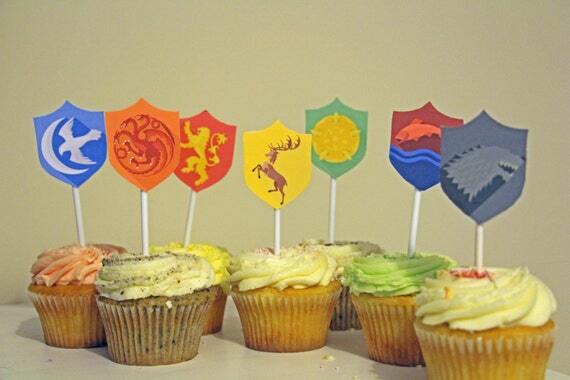 QUIZ: Who Should You Date On Game Of Thrones?